Consider who the players are in media relations. Once you know the roles, don’t forget that objectives matter too. Consider that objectives will be different – and could even be opposing – but an understanding from you will help everyone find a middle ground and result in a win-win for all involved. Let’s talk about you. As the source and expert, your objective is to get your message repeated exactly as you’ve said it – preferably unaltered. Unfortunately, that can’t always be the case. However, if you know the reporter’s audience and know the message you want to come across – you can become an important resource for the reporter and tell a story that resonates for everyone. Your PR firm is a Jack-of-all-Trades. We are writers, communicators, facilitators of interviews, researchers when reporters need more information, hunters of media assets, and amazing hoop jumpers. We do all of this with the objective of creating a common ground where your objectives and that of the reporter are met. Reporters serve their readers, viewers and listeners. Their objective is to identify good sources and stories that address the needs of their audience. When they agree to an interview, you’re entering the discussion to earn a right to reach the readers of that particular media outlet. That’s the difference between “earned media” versus paid media such as advertising (but that’s a blog for another time). 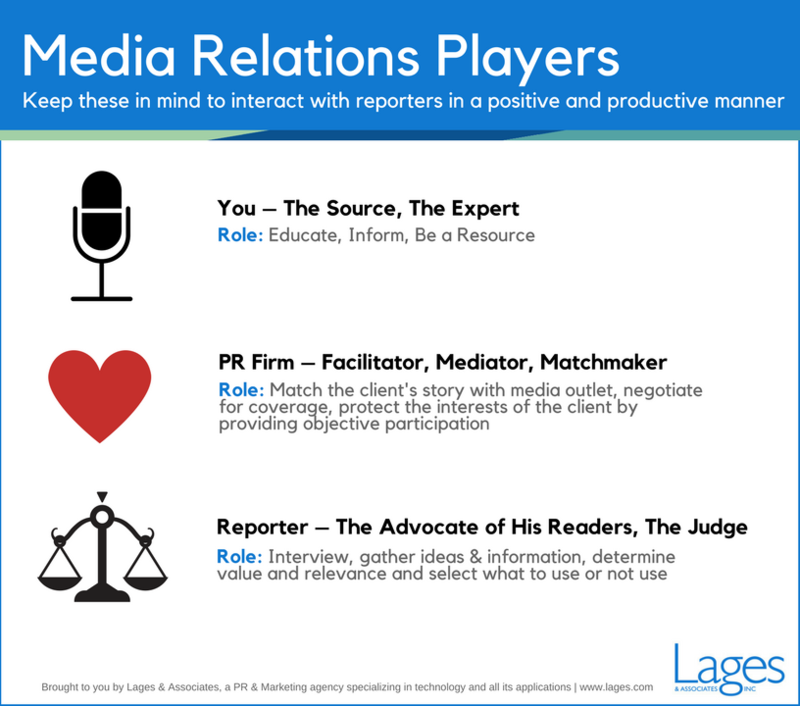 It’s easy to navigate media relations with the proper research, preparation and PR partner. Stay tuned for our next blog post – 5 Ground Rules for Successful Media Interviews.